October 17, 2013 American Airlines, Flight 1357 to San Juan, Puerto Rico, coffee is served, pretty good stuff indeed; Java City. Sitting on the plane. I am in aisle seat, watching people go up and down the aisle. Naturally I am imagining them as angry gun wielding terrorists shouting nonsense in poor English and making absurd demands. I am working on my correct mindset, body position, mental attitude and facial expressions that I would use in such a situation. At home, during Tour and Train we do not have an actual plane to train in, (It would not fit in the dojo) so here, on the plane, I visualize the situation and do my mental training, mentally performing our IKI Krav Maga airline gun disarms. I see once again, quite clearly, that given the physical nature of the aircraft, that our training and techniques would be easier in real life than in training. Once one brave person would begin the the gun disarm technique it would be extremely easy for the other nearby passengers to join in and quickly subdue the terrorist. In fact he would be banging into their chairs and practically falling into their laps. To grab him (or her) and and choke him, immobilize him, would be simple even for a passenger with no Krav Maga training. 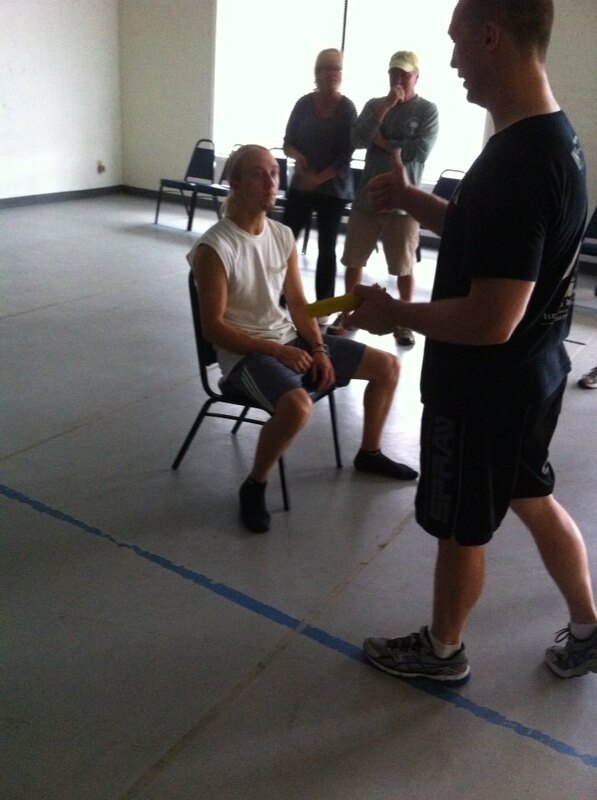 IKI Instructor Tim Garrett of Manchester, Tennessee, USA training with Alex at Absolute Krav Maga (IKI school) in Taylor, South Carolina, USA . They are doing scenario training: Airline hostage training. Opportunities - they are everywhere, in life and in Krav Maga. So many people go through life complaining that they were never given opportunities, that they simply never had a fair chance, that all the good breaks went to other people. But perhaps it is all our mind-set. Most hostage situations have resulted in the passengers feeling like helpless victims. The terrorists succeeded: they terrorized the passengers and instilled fear in their minds and hearts. Israelis are trained different; we do not give in to terror. We do not allow the enemy to play tricks on our minds. We are always outnumbered, always have been. But in war after war we have prevailed. We do not allow terror to terrorize our minds. Even in the worst situations we learn to look for opportunities and to capitalize on them. Where one man sees helplessness another see an opportunity. Our lives, our Krav Maga is based on looking for opportunities. Sometimes a situation is analyzed but no immediate solution is found to be effective. So we play for time, we go along and look for the next opportunity. Life and Krav Maga are filled with opportunities, just keep your eyes open. 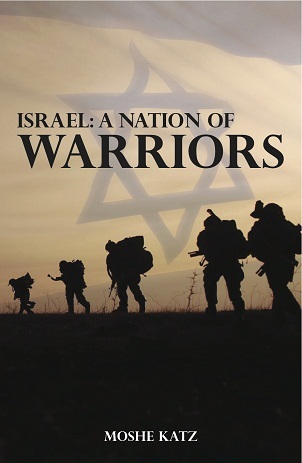 Learn about the Israeli mindset that turns obstacles into opportunities.